If you color your hair often, I am sure that some of the things that bother you are the fact that the color fades and that you would have to color after a few weeks or months due to hair regrowth. 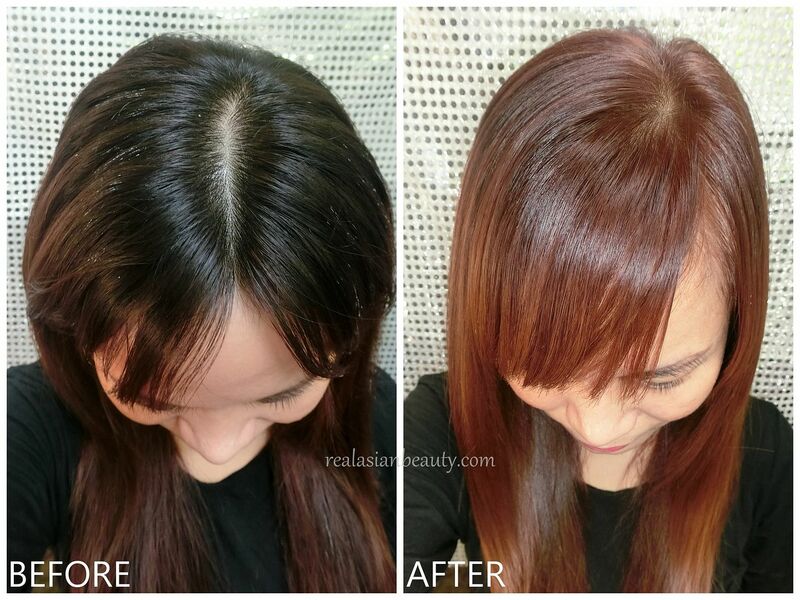 Today, I will share with you some lessons I have learned when retouching or recoloring hair roots! Here is a photo showing how my hair looked before recoloring and after recoloring. In the left photo, you can see that my hair shows my natural black hair. It looked awkward because the tips are still in bright brown. While in the right photo, you can see that my hair color is even. The tips are back to being bright and colorful! So, the question now is "How does one properly and correctly retouch the roots?" 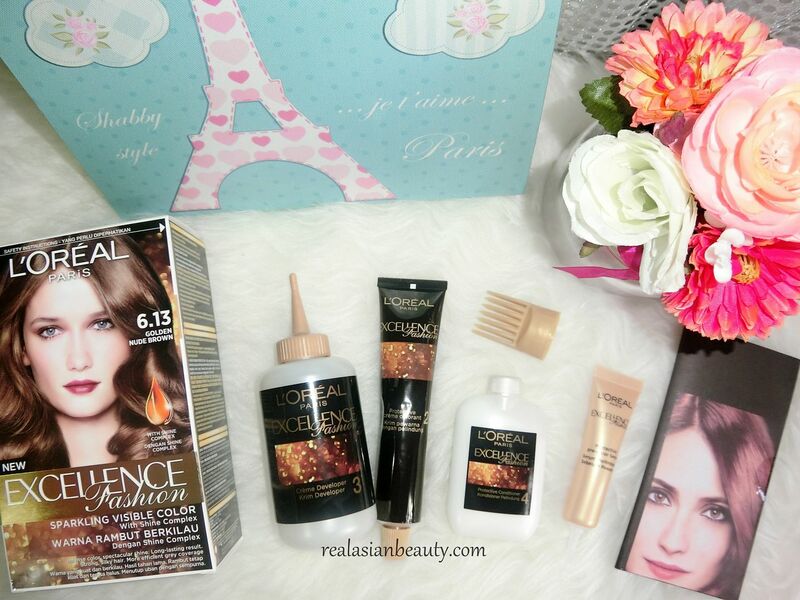 A few weeks ago, I used the L'oreal Paris Excellence Fashion to color my hair growth. If want to read the tutorial and see more photos, please click HERE. Sure, retouching the color is easy when you have someone to help you. Or better yet, get it done at a salon! But, what if you just want to color it at home on your own? I like the L'oreal Excellence Hair Color because it was designed and perfected to make it so easy to use! It comes with a comb applicator to make coloring a breeze, even if you are just doing it by yourself. Use the same color (same brand, if possible) that you used before to color your hair. Combine the hair colorant and the developer well. Be sure you color your hair right away to prevent the hair colorant from oxidizing. 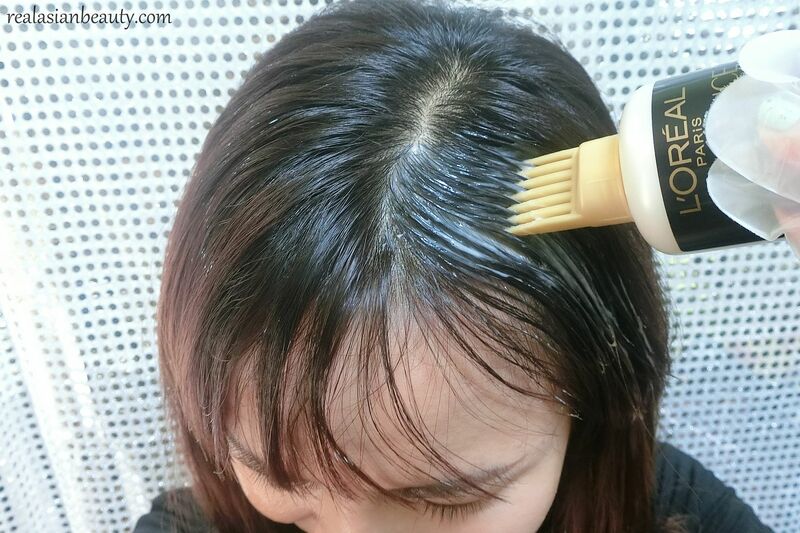 Apply the color on the roots first! If you notice that the color of your ends are also fading, apply hair color on the roots then leave it for 10 minutes. Do not over process (or leave hair color on hair) for too long. This might make the shade too light! Worse, it could damage your hair. Do not color your hair jet black if you wish to go lighter after a few weeks or months. It would be so difficult to color your hair once you go black! If you get all the tips right, then you will surely say hello to an even, vibrant and glorious hair color!! Oh, by the way! I am so excited to tell you guys that the L'Oreal Hair Color Tutorial I did back in December has been launched now!! Ahhh! I am so happy! It came out right around the Chinese New Year. So, I am praying 2016 Year of the Monkey gives me more blessings and opportunities like this one! I am so flattered! Because I want to share my happiness, I decided to host another small giveaway! I am giving away all these L'Oreal hair products to 1 LUCKY watcher of the video! This is my first ever REAL video product endorsement so I was so happy when I saw it for the first time! Let me know what you guys think of the video!